The extraordinary chambers in the courts of Cambodia: a wasted opportunity for victims of sexual and gender-based violence? 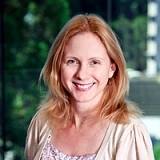 Sarah Williams is an Associate Professor at the University of New South Wales. She was the Dorset Fellow in Public International Law at the British Institute of International and Comparative Law (from 2008 - 2010), a Senior Legal Researcher at the UK Foreign and Commonwealth Office (from 2006 - 2007) and a Lecturer at Durham Law School, University of Durham (from 2003 - 2008). Sarah has also practised as a commercial solicitor in London and Sydney. Sarah has acted as a consultant to the European Commission, the British Red Cross, the International Federation of the Red Cross and the British Institute of International and Comparative Law. Sarah's main research areas include international law, in particular international criminal law, international humanitarian law, international disaster law, and the law on the use of force. Sarah's book, Hybrid and Internationalized Criminal Tribunals, was published in 2012. Her current research focus is an assessment of the extraordinary chambers in the courts of Cambodia.